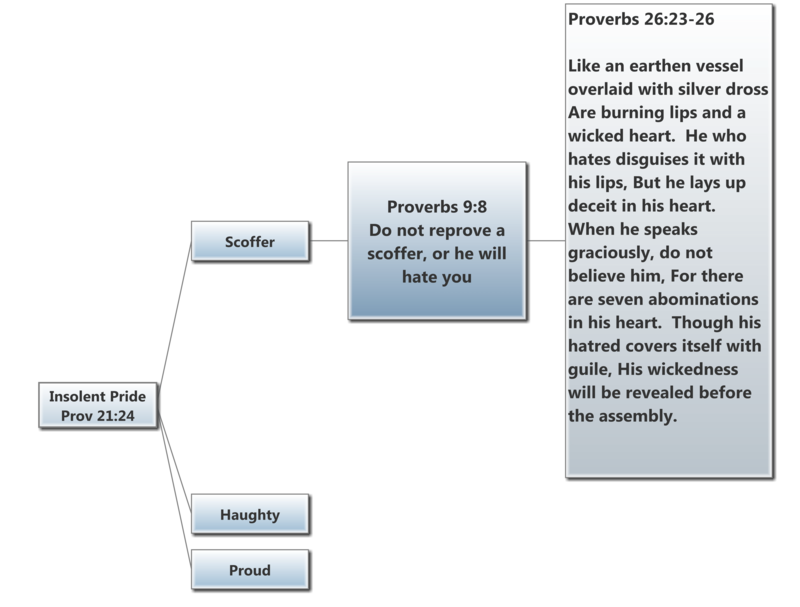 As we have discussed previously, “scoffer” is one name to describe those who act with “insolent pride” – the Biblical term for what the secular world calls narcissism. Therefore, we can learn more about the characteristics of narcissists by looking deeper at what the Bible says about scoffers. The following table focuses on the fact that narcissists absolutely hate to be told that they are wrong. But if a narcissist somehow does find himself in position of being rebuked, he will refuse to listen. Have you ever tried to rebuke a narcissist? He will ignore you, verbally fight you, tell you why you are the one who is wrong – anything to keep from admitting that they may be wrong. Not only will a narcissist refuse to listen, but he will also hate you for reproving him. He will disguise his hatred, and even speak graciously to you, but when he has the chance to trash you publicly he will take it. This results in a narcissist trashing your reputation. A narcissist will not hesitate to trash the reputation of those who try to correct them – resulting in dishonor to you for daring to correct them. Please see “Putting Biblical Perspectives On Narcissism Into Perspective” for background on what this blog is about.